Coffee terroir is defined by far more than country of origin. Country of origin is just the beginning. And it’s not just about space: It’s also about time. When I meet with Neil Balkcom, the director of coffee operations for Swing’s Coffee, he explains that changes in weather over the course of a year, or from year to year, can have a huge effect on coffee’s flavor. “I can have my finger on the pulse pretty much on everything in-house, but as far as this time next year, what that’s gonna taste like, that’s a different story,” he says. Because Swing’s produces many blended mixes, which must be consistent between changing yields and unforeseen weather patterns, Balkcom has to regularly adjust blend recipes to maintain customer expectations. This can involve switching farms or declining beans from established suppliers. But I suspect people become convinced that they like a certain country’s coffee less because of these broad similarities, and more because of the whims and pitfalls of wanderlust and memory. In my own case, for example, I strongly associated Ethiopian coffee with eating Ethiopian food and exploring D.C. in the process. Every unfamiliar cafe was a chance to visit a new sector of the city and feel less adrift in its matrix of micro-neighborhoods and dizzying traffic circles. Plus, one of the first times I had Ethiopian food, I was with a close friend and our coffee was free. And even if I lacked such a connection to my coffee’s point of origin, an ad or branding might have instigated it. Stumptown offers the Bella Vista (beautiful view). Starbucks sells the Casi Cielo (almost heaven). Counterculture Coffee peddles the Cueva de los Llanos (a cave in Buescaco, Colombia). Nagadi means traveler. With coffee, geography is both biography and enticement: It’s easy, and even fun, to get lost. To find coffee that you like on its own terms, purged of the convenience and confabulation of geography or the exoticism of wanderlust, it’s best to ignore country of origin and instead educate yourself about the different flavor profiles coffee can have. This may seem shortsighted considering how many processes occur before coffee reaches you—growing, picking, processing, bagging, shipping, roasting, grinding, then brewing—but it’s precisely how roasters hone in on what flavors a particular terroir has produced. Before beans are even available to consumers, they are exhaustively tested by the roasters, who prepare a small batch and explore the coffee’s notes through a process called cupping in which they slurp coffee across their tongues, maximizing their exposure to every minute flavor. For roasters that are certified by the Specialty Coffee Association of America, the notes they discern are defined and even teachable. This is how they come up with descriptions like vanilla, cocoa, honey, and blackberry, which may seem associative but are actually informative and based on the alcohols, sugars, acids, esters, and furans that appear across the food spectrum. By identifying which of these flavors you prefer in your coffee, you can test roasters’ claims, discover what kind of coffee you really like, and learn why particular regions produce such distinct flavors (thus learning more about those places in the process). You’ll ascertain the differences between roasts (light roasts are generally the most flavorful), you’ll glean which flavors you dislike (I hate chocolatey, nutty coffees), and you’ll be able to get your fill even when your preferred cultivar is out of season or when you find yourself at a new coffee shop. Nagadi makes this kind of palate cultivation easier by describing flavor and aroma notes and even “mouthfeel” on its packages, in addition to the country of origin, the source farm, and the type of cultivar. This will probably feel like a relinquishing of power if you’re already convinced that you know, definitively, how you like your coffee and where that coffee comes from. But it’s really a refinement. 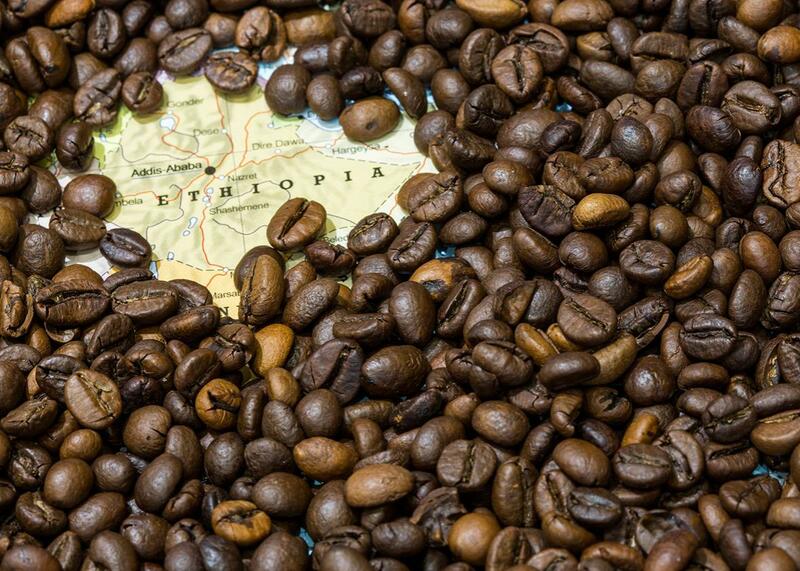 It’s preposterous to take a phrase like Ethiopian coffee seriously when Ethiopia is over 426,000 square miles and contains volcanoes and floodplains and highlands—all of which can accommodate coffee plants. A true appreciator of coffee terroir would locate that one hectare of land that speaks to you and, while you can, appreciate it. It might not be around next year.